When it comes to bread you know there is nothing tastier than white bread. I eat a lot of wholemeal and interesting seeded loaves, and I do like them, but when it comes to a proper treat I opt for white bread. Perhaps it is reminiscent of my childhood, but white bread feels like a comfort food. 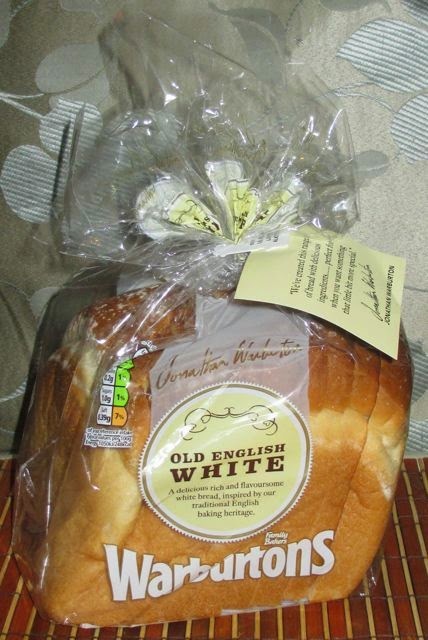 When I heard that Warburton’s had brought out a range of new special loaves the first one I opted to try was this new Old English White. It was inspired by one of their heritage recipes, and designed with indulgence in mind. The packaging is very smart, and the packet ties at the top, not the side making these stand out. The loaf is smaller than a regular loaf, but it is meant to be extra special, and not just for dunking in your soup or something. Now there was a temptation to make a chip butty using this bread, as it is an important taste test for bread if ever there was one, but instead we decided on trying it out as bread and butter. Basic maybe, but probably the purest way of going about this. I have to say I was impressed by the bread. The first thing to note was the flavour, it actually had such a lovely defined taste, there was an almost creaminess to the flavour. The texture was lovely and fluffy too. The crust was a little stronger in taste and had just the right give for texture, slightly more than a regular white, but it gave it a sort of rustic feel. And who is to say you can’t have a few nice side items with your bread and better? 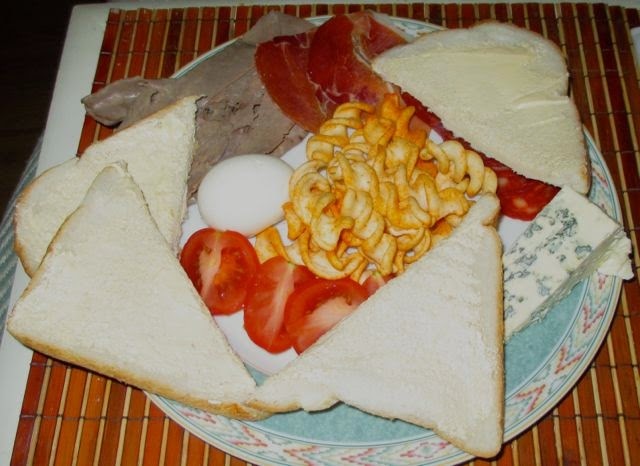 Mix it up with some rich and creamy blue cheese, a selection of cold meats, crisps, a tomato and an egg and lets be honest its simple, but taste wise its food of the gods! I can’t wait to try the other new loaves. Many thanks to Warburtons for sending over the bread in return for an honest review.